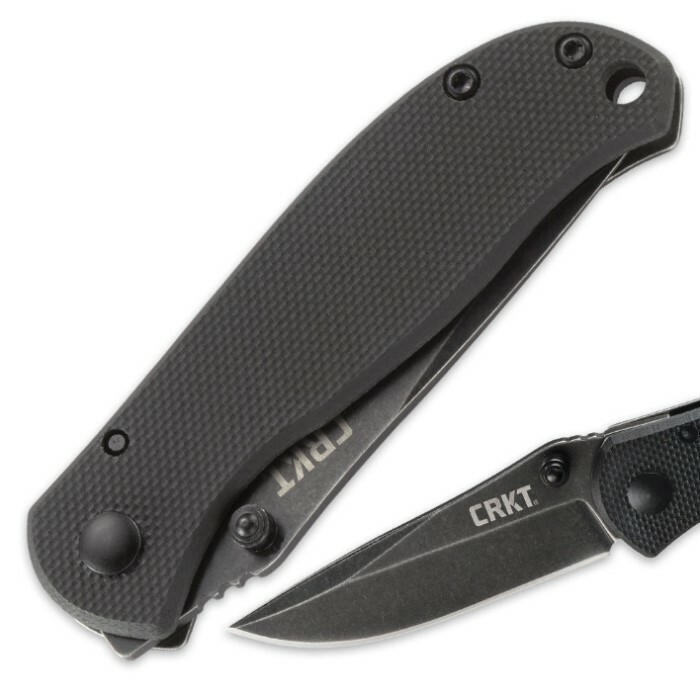 CRKT Pazoda G-10 Frame Lock Folding Pocket Knife | BUDK.com - Knives & Swords At The Lowest Prices! The Pazoda folding pocket knife from CRKT is one of the most compact frame lock knives around, featuring a 2.17" 7Cr17MoV stainless steel drop point blade with a black stonewash finish. A built-in thumb stud provides fast, one-hand access to the blade, and the rugged G-10 handle provides a secure, slip-free grip. The excellent frame lock secures the blade firmly in the locked and open position, providing you with the feel of a small fixed-blade knife. The blade has a flat grind and sharp edge with a piercing point. 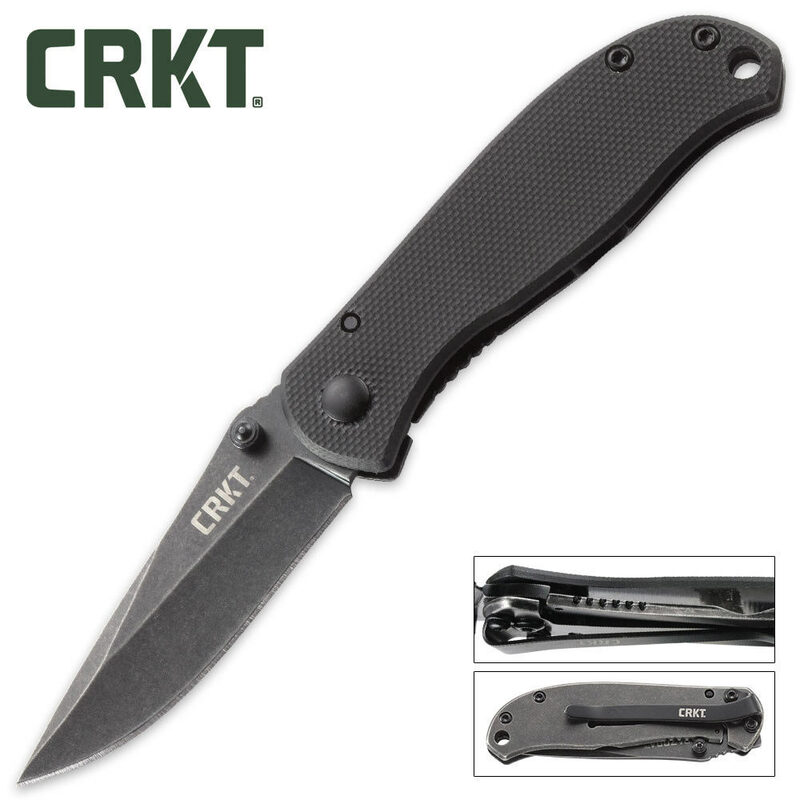 At less than 3" in closed length, the CRKT Pazoda is an excellent option for compact everyday carry pocket knife.